Elie Wiesel (1928–2016). Photo: David Shankbone’s photo is licensed under CC BY 3.0. Elie Wiesel, a world-renowned author, human rights advocate, Nobel Peace Prize laureate and Holocaust survivor, died on July 2, 2016, at the age of 87. Wiesel’s best-known work is his memoir Night, based on his experience as a teenager with his father in the Nazi concentration camps at Auschwitz, Buna and Buchenwald in 1944–1945 toward the end of World War II. Wiesel wrote over 10 profiles of Biblical figures for the Biblical Archaeology Society magazine Bible Review in a series called Supporting Roles. The July/August 2004 issue of Biblical Archaeology Review published an interview BAR Editor Hershel Shanks conducted with Wiesel and Frank Moore Cross, then the Hancock Professor of Hebrew and Other Oriental Languages Emeritus at Harvard University (Cross died in 2012). It is republished in full below. Hershel Shanks: I have known each of you for many years. And I know that the Bible has been a central influence in your lives—but in a very different way. In truth, you inhabit very different Biblical worlds. Both of you are giants, dare I say nephilim [giants; see Genesis 6:4; Numbers 13:33], in your world. For 35 years, Frank Cross held one of the most prestigious chairs in academia: the Hancock Professor of Hebrew and Other Oriental Languages at Harvard University. I believe that’s the third oldest university chair in the country, isn’t it? Elie Wiesel (left), Frank Moore Cross (right) and Hershel Shanks. Photo: Marcus Halevy. HS: I don’t think there is any other professional Bible scholar who is more respected and honored. Now 82—and presumably full of wisdom [all chuckle]—Frank has just been honored with a heavy tome of his professional papers republished under the title Leaves From an Epigrapher’s Notebook: Studies of Ancient Semitic Texts. Frank is also a leading Dead Sea Scrolls scholar, which he’s been since they were discovered more than 50 years ago. He’s just completing an edition of one of the most significant scrolls for Biblical studies, the Book of Samuel from the Dead Sea Scrolls. And it would be hard to find a more influential book of Biblical studies than his Canaanite Myth and Hebrew Epic (1973). Elie Wiesel has for years served as the moral compass of the civilized world. For many of us, including me, he has defined the Holocaust. Awarded the Nobel Peace Prize in 1986, he is also the author of more than 40 books. As relevant as anything to today’s discussion are the insights into the Biblical texts that are contained in his lectures and books. They include Messengers of God (1976), Five Biblical Portraits (1978) and his just-published Wise Men and Their Tales—Portraits of Biblical, Talmudic and Hasidic Masters. As long as I’m giving a little hype, I can’t resist saying that Elie has also written a number of pieces for Bible Review, for which I serve as editor. Interestingly enough, I think that until today, the two of you have never met. Is that right? Elie Wiesel: Except in books. HS: I have my own ideas about the differing ways you two relate to the Bible, but I wonder if we might begin with a broad-based inquiry: How do you relate to the Bible—as historian, as literary critic, as text critic, as a person of faith, as keeper of a tradition? EW: I am not so sure that there is much difference between the two of us. We have a text before us, an ancient text, a living text, and we try to enter it, not only to decipher it, but to penetrate it, to become part of it, similar to the way every student becomes part of a teacher’s texture. That’s how I see our two differing approaches. We differ simply because of our differing backgrounds. But we have the same fervor, the same passion when in front of us is a page, a unique page—every page is unique—of the Pentateuch. I see history in it. I see revealed truth in it. I see in it human holiness as much as divine inspiration. Wherever you open it, any page, you know that you are in the presence of something that exists nowhere else. HS: Do you agree, Frank? Do you think about the Bible the same way? FMC: I think that there is a certain schizophrenic aspect to my own relation to the Bible. In my work, I attempt to deal with the Bible as I would deal with any work of literature. And to treat the history of Israel as I would treat the history of England or Russia or China; that is, an attempt at a scientific, historical approach. I am particularly fascinated with origins. Most of my professional work has been in these areas—as a historical critic, as a literary critic. I’ve done very little in the history of interpretation [as Elie Wiesel has]. I’ve been interested in it, but I have not contributed to that field, really. On the other hand, the Bible is a book that has shaped my life, my beliefs, my ethics, my moral concerns, my religious outlook. This is not something, however, that I have taught or written about. This has been, if you wish, a private aspect. I’ve been on a faculty in a university, and I felt it was incumbent on me to deal with the Bible not as something I was attempting to convert people to, or to have them enter into my religious experience, but rather as an academic and scientific discipline. So I think that there are these two very different sides to my relation to the Bible: one, my professional life; the other, a more private concern, interest and fascination with the Bible. HS: Your father was a minister? FMC: Presbyterian. But I did not take the Bible seriously until I was forced to take Hebrew at McCormick Theological Seminary. I had to take Hebrew, so I began to read prophetic poetry, and suddenly it became the life I wanted to spend. HS: Elie, you wrote that as a child you used to tell your grandmother what you had learned the past week. How old were you at that time? You must have been a child, even before entering school. EW: Oh, yes, we started very young. EW: In my little town, Sighet, which is in Romania, Hungary-Romania, but a real shtetl, a little [Jewish] village—and we began with the Chumash [Pentateuch], probably at age four. Unlike you, Professor Cross, I do not deal with the text scientifically. I read it, I’m interested in its layers of meaning, but my relation to it is much more an emotional one. It’s been my passion almost from my youth. I want to go back to the child I used to be, and to read with the same naiveté. I want to leave science aside and go back to the pure perception offered to me in the text that is waiting there for me year after year. HS: Among your other roles in life, Elie, you, too, are a university teacher—at Boston University. And you teach Christian students, as well as Jewish students and perhaps Moslem students. EW: Yes, but I really don’t teach the way Professor Cross does. I don’t teach the text the same way he does. I teach Biblical themes, Biblical events. I try to see their moral relevance and, of course, to admire the literary beauty of the text. Prophetic poetry: No one has written the way Isaiah does. The royal style, the majesty of the language. He is called the prince of the prophets. No one has written like that. I’ve studied ancient literature, Homer, for example, but it’s not the same thing. HS: That is somewhat different from your university approach, Frank. Just for fun I picked up your Canaanite Myth and Hebrew Epic, and looked in the index for the word “Talmud.” It wasn’t there. FMC: I do have it at home. I have a concordance to the Talmud at home, which I have to use. HS: When Elie was recalling his childhood and his study of the Bible, he said that there was something that was always asked: “Und vos zogt Rashi?” “And what says Rashi?” Who is Rashi, Elie? HS: Frank, would you ever ask a question like that? Have you ever used Rashi? FMC: Yes, I have referred to him on occasion, but I doubt that you will find his name in any of my indices. In my view, he is important in the history of interpretation; and that is a subject I have not approached directly. HS: Is it fair to say that you are interested more in history? FMC: Certainly professionally, yes. And literary criticism, the structure of poetry. But it is primarily as a historian that I work, although text criticism and literary criticism are very much a part of my interests. The history of interpretation is fascinating; but that is something else. It has been said that in order to pursue the history of Biblical interpretation, you must include the whole philosophy of the West, which informs it at every stage. HS: What about rabbinic tradition? That apparently is not part of your focus. FMC: No, that belongs to the history of interpretation, as do the Church Fathers. HS: Elie, I get the feeling—this seems strange to say—but in your approach to the Bible, history doesn’t really matter. EW: Oh, it does matter. Everything matters. But I have priorities. For instance, for me to know whether there were two Isaiahs or one is less important than the text itself. Of course I read the arguments for and against. But it’s not my task in life to say there were two or three authors of Isaiah’s book, or how many authors there were of Deuteronomy. This is not what I’m doing. Read Supporting Roles articles by Elie Wiesel as they appeared in Bible Review: Cain and Abel, Joshua, Aaron, Seth and Jethro. HS: Is that what you are doing, Frank? FMC: Yes, it is. It fascinates me to analyze these things and, yes, to see layers in the texts and the building up of Biblical literature. I think this provides insights that one simply does not get by the direct approach. To put it another way, I prefer to have all of this apparatus—historical, literary, critical—and then, beyond initial innocence and naiveté, to try to achieve a new innocence, a new naiveté. HS: In one of our conversations several years ago, Frank, you told me: “Israel defined its God and its relation to that God in existential, relational terms. They did not, until quite late, approach the question of one God in an abstract philosophical way. If I had to choose between the two ways of approaching the deity, I should prefer the existential relational way, to the abstract philosophical way. I think it is truer, or in any case, less misleading, to say that God is an old Jew with a white beard whom I love, than to say that God is the ground of being and meaning, or to say that God is a name denoting the ultimate mystery. I prefer the bold primitive colors of the Biblical way of describing God.”1 Isn’t that close to what Elie is saying? FMC: I think so. I think there we meet. One day—I remember it was a Sabbath afternoon—I came to the synagogue with a book in my hand. I was never without a book in my hand. It was between the afternoon and evening prayers—we were waiting for Maariv [the evening prayer service]—and we had half an hour. So I went to the bookshelves and looked for something to study. All of a sudden, I saw a volume behind the others. I picked it up, and I saw a commentary on the Bible by a certain Rabbi Moshe Dessauer, better known as Moses Mendelssohn. An elderly man came up to me—I was then maybe 10 or 12. “What are you studying?” he said. “Dessauer’s commentaries,” I said. So he gave me a slap on my face. That was the only time in my life that I was punished like that. I developed an anger at Mendelssohn. Later, I read the book. I realized there was nothing subversive in it. Mendelssohn was a religious Jew. I felt sorry for him. I became one of his defenders. But then I heard the words “Biblical criticism” again. And, of course, afterward, I studied it more closely. But, in truth, it doesn’t touch me. It doesn’t change my attitude toward the text. I say to myself, if the text was good enough for my father and grandfather, it must be good enough for me. I admit, that is a rather personal way of approaching the text—or a prayer. FMC: I grew up in a household in which the Bible played very little role. My father was a Social Gospel, far-left liberal, and to some degree a mystic. But we did not have Bible readings; we had prayers. My father’s religious life was not Biblically centered. He was a saintly man, whom I could never emulate, so I went into scholarship rather than into the kind of pastoral activity that he pursued. I became intimately acquainted with the Bible only as a theological student. HS: How does being a Christian affect your relationship to the Hebrew Bible? FMC: Happily, I come out of a Calvinist tradition in which the Hebrew Bible carries as much authority as the New Testament. No different weight is given to one or the other. The Bible is one, Old and New, in my particular tradition. My own interest is far more in the Hebrew Bible. My religion is more personally related to the Hebrew Bible than it is to the New Testament. HS: What does that mean? FMC: I find myself a little uncomfortable in the New Testament environment. And this is also true of what I would call late Judaism, the Judaism of the Second Temple and later. With the Hebrew Bible, you’re living in an austere world. When you come to the New Testament you can’t even swing a cat without hitting three demons and two spirits. And magic becomes something that is everywhere. In the Hebrew Bible this sort of thing doesn’t go on. HS: You have miracles in the Hebrew Bible. FMC: You have miracles, yes, but they’re not the work, normally, of demons. HS: Elie, you say you’re interested in history. I take it neither of you believes literally in Adam and Eve. Is that true, for both of you? EW: I first have to ask Adam and Eve. HS: You’ve even written about the serpent speaking as if it were a person. Would you ask the serpent? EW: At that time the serpent was talking. In Talmudic literature, certainly in the beginning, he was like a human being—except he was a serpent. But he was talking and walking and probably dreaming. HS: Do you believe that? EW: I believe in the story. For me, it’s a story. HS: It is for you, too, Frank? FMC: It’s poetry. One must interpret it as poetry. The first 11 chapters of Genesis [the Primeval History] are absolutely remarkable. HS: You would agree with that, Elie? HS: What makes it a holy text? Are they just wonderful stories created by some ancient storyteller with depths of meaning and a lot of tradition behind them, or are they holy? EW: What do you mean by holy? HS: What makes them Scripture? EW: What is Scripture? The Hebrew word is torah. Torah means teaching, learning. There is no word in Hebrew for religion, by the way. In my town we studied the five Books of Moses, but rarely the prophets. We studied the Talmud so much that I sometimes knew the prophets because of the prophetic quotations in the Talmud. We almost never studied the prophets themselves. HS: Judaism is in a sense a Rabbinic, Talmudic religion, rather than a Biblical religion. FMC: That’s too simple, Hershel. HS: How would you describe it, Frank? FMC: The Hebrew Bible defines Judaism. It’s certainly true that the Talmudic interpretations become authoritative and normative, but they are interpretations of the Hebrew Bible. So that is always there. I would not speak of Judaism as a Talmudic or Rabbinic religion. It’s a Biblical religion. HS: With the gloss of the Talmud? EW: The Bible is interpreted by the Talmud. Except, in Rabbinic tradition, a Talmudic law has the weight of the Biblical law. Sometimes we say in a prayer, “Blessed are Thou, O God, who has ordered us and commended us,” to do something. But you don’t find that “something” in the Bible; you find it in the Talmud. So Talmudic law becomes as important as Biblical law. HS: In Jewish tradition the Talmud is said to have been given on Sinai. EW: Yes, it’s called the “oral tradition,” or “oral law,” given at Sinai. 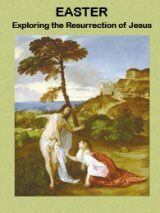 HS: We’ve sort of agreed that the account of Adam and Eve is a story, but what of the Exodus? That too, is a wonderful story, but from the viewpoint of an historian, it is—to use a word scholars love—problematic. 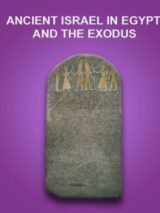 Let’s say there are doubts, to say the least, among many scholars, as to whether the Exodus actually occurred. That’s a historical issue. Elie, you say you’re interested in history, but I would guess that that’s an issue that doesn’t concern you. EW: Not at all. I personally have no doubt that the Exodus occurred. How it occurred, I don’t know. But that it occurred, I have no doubt. For nearly 3,500 years it has left such an imprint on people’s memories that I cannot imagine it had been invented just as a legend or a tale. But even if people tell me they have historical proof [that it is not historical], that doesn’t really bother me. I read the text; and then I come to the Shirat ha-Yam, to the Song of the Sea [Exodus 15], to the poetry. Who could have written such a poem except someone who went through it? It is so full of life, so full of truth, of passion, of concern. And the thousands and thousands of commentaries in the Talmudic tradition that have been written on it. It had to have happened. But even if not, I would attribute the same beauty to the text as I do now. HS: Frank has written about Shirat ha-Yam. You dated it to the very early time of the Exodus itself. FMC: Yes. It is one of the earliest, if not the earliest, pieces of Biblical literature that we possess. It is much closer to history than later traditions of the Exodus. As you know, I describe this as part of an epic story that has qualities of history and which also has qualities of the mythological, of an epic. HS: Elie, would you agree that the story has qualities of history and also qualities of the mythological? EW: I would accept it simply because I have a tremendous respect for Professor Cross. But, really, it doesn’t bother me. HS: It doesn’t bother you that it may be mythological or that you don’t really accept it as mythological? EW: I accept it as it is, realizing in my subconscious that there are some great scholars who believe that part of it is mythological. This contradiction doesn’t bother me. HS: What about the miracles? Did the sea part? And does it matter? FMC: If you read Exodus 15 carefully, it describes a storm at sea. This is the old Yahwistic source. In the retelling of the story in the later Priestly source, it is more miraculous: The water stands up on either side like a wall. There are walls of water standing up. As you move back in time, oddly enough, the story becomes more historical. HS: Elie, do you see that development? EW: I see the story in itself. It is meant to be a source of wonder. That is the object of the story, to arouse wonder in us. We read it with awe because of the beauty of the text, and also the cruelty. We come to the death of the firstborn, the tenth plague. You swallow hard! FMC: But we’re both a long way from the position of the so-called Biblical minimalists. Some of them see no history in the Bible until Josiah. HS: And say that there really is no history in the Bible until the seventh century B.C.E. EW: I think that’s more political than scientific. But, personally, as a student who loves words, who loves texts, I am concerned with finding something in the text from within. I am looking for the word which is there and shouldn’t be there. I wonder, why is it there? Or I look for problems: the Akedah [the Binding of Isaac—Genesis 22]. It still baffles me. Each time I read it—and I read it at least twice a year—each time I discover new layers in it. Always. So this is of more concern to me than the minimalists. HS: You wrote that there was something terrifying and fascinating about reading ancient texts, something that filled you with awe. EW: Absolutely. Take the story of Cain and Abel. Why were we given that story? Scientifically, you may have an explanation for it, but I’m not approaching it from the scientific point of view. I’m saying: Why do we need that? It’s a sordid story, a depressing story, a dark story. Why should I believe that I’m a descendant of either Cain or Abel? Thank God there is a third son! [Genesis 4:25] [All laugh] Well, I may be a descendant of Seth. I say to myself, What does it teach me? So I go back to all the interpretations in the Talmud, which to me are a source of pleasure and joy. Then I say, maybe this story is not for then; maybe it’s for now! It’s possible for brothers to kill one another in civil wars. But most important, whoever kills, kills his brother. That’s a moral conclusion that may not be there; but that must be my conclusion. Otherwise, why read it? Whoever kills, kills his brother. FMC: “Am I my brother’s keeper?” There you have the whole Biblical understanding that you are your brother’s keeper. You also have a whole other understanding in which you are not your brother’s keeper. And I’ve heard some extremely bright people take this position. HS: What about the Patriarchs? Did they exist, Elie, or is this not an issue? EW: For me they exist. Abraham, Isaac and Jacob exist today. They are people that you see with white beards. I have no doubt of their existence. Whether every story that’s there is a historic truth … Again, I’m not concerned. My approach is not a scientific approach. For that, we have greater minds than mine. My approach is: I am in the possession of a text, it has survived so many centuries, and it is my task, my pleasure, to try to decipher it and find all the things that have been said about these few words by generations and generations of commentators. That is what I’m doing. I don’t innovate anything. I’m just repeating. FMC: It’s an epic tradition. FMC: Well, go over to Greece with the Iliad and Odyssey. These have elements of history, and they have non-historical elements. It’s very difficult to pull them apart. And I think there’s not much reason to. HS: What do you mean by that: “There’s not much reason to.” If we want to know history, I would think there would be every reason to. FMC: When I say it doesn’t make much difference, I mean in terms of the importance of the piece of literature. HS: Were the Patriarchs real people? FMC: Yes, there are real people behind the stories. HS: Did they have those names? Abraham, Isaac and Jacob? FMC: The story of Abraham and the sacrifice of Isaac are nowhere in any other tradition. How can you put that aside? If you make a determination that it’s not historical, do you throw it away? I don’t think we can say whether it’s precisely, scientifically historical. HS: Well, certainly Elie wouldn’t throw it away! EW: I think it’s the most important event in the Bible except for Sinai. Abraham is trying to obey God, but not to kill. I feel that moment is one of the defining moments of Jewish faith. HS: What does a text critic have to say about the text of the Akedah [the Binding of Isaac]? FMC: This is a major theme of the so-called Elohist [one authorial strand in the Pentateuch]. It is marked by all of his linguistic characteristics, and so on. We cannot determine what is historical and what isn’t. As literary critics, we would understand the importance of this for understanding life, destiny. But the historical question must be left with a question mark. EW: The story is much more a part of theology than of history. HS: Is this a divine text? HS: My own struggle! You don’t need to ask that question, Elie, but I do. EW: For the purpose of my life, I don’t ask the question. First of all, I believe. I think the Five Books of Moses are inspired. Call it divine. I don’t know. But I would certainly call it inspired. FMC: Yes, grab the holy. EW: A coup d’etat [of God’s realm]. FMC: If one attempts to achieve deity or to have the holy, he is thrown back; he is refused. His language is taken from him. He can no longer even communicate. That’s the Tower of Babel. The Garden of Eden presents the same story: If you want to make yourself gods, you’ll find you’re akin to the animals. And, so, I’m not quite sure, Hershel, what you want by your question. EW: You know what Kafka says about the Tower of Babel: In the beginning there were actually many languages, and then as a punishment God gave the world a single language. And then they stopped understanding each other. HS: I guess what this is reflecting is my own search for answers that I can’t find. Frank and I have examined a lot of archaeological materials in the hope of finding out. If I ever write a book on “How True Is the Bible?” I’ll have to start out by saying that archaeology is not the way to find out; that it has very little to say. We are thrown back on the text, for the most part. Archaeology can give us background. It doesn’t either confirm or disprove the Bible, but it may illuminate it. FMC: I find it exciting to get any historical material from the ground. As you know, I love to put ancient Israel and its literature into their ancient contexts. And to rebuild—that is, to me, a very exciting historical task. HS: I try to look at the texts and say: Is there a way that I can find history in the texts and separate it from what may be the mythological elements, and I don’t find any rules for that. FMC: Yes. But I don’t think we’ll get certitude. HS: Or even likelihood that this element is historically accurate and this element is not. FMC: I think we may very well, in many areas, get likelihood, but not certitude. We don’t want certitude anyway, do we? EW: I don’t. I surely don’t. FMC: We want to live in ambiguity. This is the human condition. HS: Frank approaches that text about the book found by Hilkiah in Josiah’s time in a very different way, as do most scholars. Most scholars regard the so-called lost book as an early form of Deuteronomy. It was written at that time, not lost. It went through several editions. HS: And the text says it was lost, but you say it was written then. FMC: It’s more complicated. There was certainly an old law code which stands behind the earliest form of Deuteronomy. Presumably that is what was lost. Furthermore, I think there was, in fact, a celebration of Passover in the era of the Judges in which the epic was recited in the context of the central sanctuary. That tradition was displaced by the Feast of Enthronement beginning in the Solomonic era. So I do think that the Josianic return to the archaic form of the Passover is appropriate and, indeed, historical. Josiah does go back to a different, earlier tradition, the time of a central sanctuary in which the law code was read. But then there were accretions to the Book of Deuteronomy. HS: I think this discussion has illustrated two somewhat different ways of looking at the Bible. At the beginning you said, Elie, that you and Frank didn’t differ so much. I wonder if you’d revisit that question. EW: No, I don’t think so. We didn’t really differ because we have the same love of the text. We share that love. As for the discipline, we belong to two different disciplines. One involves research and archaeological materials. Mine is more interpretive. But it is the love for the text that is there, and that is what makes the whole adventure of reading and studying and sharing worthwhile. HS: What do you say, Frank? FMC: There are surely many legitimate approaches to Biblical literature, and I think that it depends very much on one’s experience and temperament which way one deals primarily with Biblical material. HS: How would you define the different approaches, or are they essentially the same, as Elie suggests? FMC: I think they are essentially the same. In fact, we’re both engaged with the text. We search for different things, we find different things. There is a side of what he does that I’d like to do, a bit more privately. I’m not sure he is as interested in history, as I am. EW: I am. Absolutely, I am, but not for my work. I respect scholarship. But I don’t like to do things half-heartedly. I cannot do both, really. What I do, I want to do with all my being. I have an open mind––I read, I study, I study your work and the work of other people with less talent. But that is not what I do in my writing and teaching. Still the love for the text we have in common. HS: Correct me if I’m wrong, but I sense that what you two share is that you each have a public relationship to the Biblical text and a somewhat private relationship to the Biblical text. What is public for you, Elie, is private for Frank, and the reverse. That is to say, the inspiration, the interpretive richness of the text is what Elie does publicly, and his interest in history is his private reserve; he knows that he is not an expert in dissecting the text the way Frank does. Frank, on the other hand, publicly dissects the text but he has a private, passionate relationship to the text that he doesn’t often speak of publicly. EW: Except that a human being is both the public and the private. We are both, private and public in the same person. FMC: Yes, we’re the same. 1. Hershel Shanks, ed., Frank Moore Cross: Conversations With a Bible Scholar (Washington, D.C.: Biblical Archaeology Society, 1994), pp. 49–50. 2. See Duane Christensen, “The Lost Books of the Bible,” Bible Review, October 1998. “Contrasting Insights of Biblical Giants” by Hershel Shanks originally appeared in Biblical Archaeology Review, July/August 2004. Wonderful to read and re-live this conversation again. HS conducted it beautifully. When I was a university teacher of Religious Studies, I had a video interview of Elie Wiesel to show my students. He told of the trial of God in a concentration camp; the judges found him guilty, and then said “Let us pray”. His book The Testament was given by my son to his sister, and I inherited it, to study and imbibe it. I wish both EW and FMC had survived to read my interpretation of the Qeiyafa ostracon as an eyewitness reaction to David’s slaying of Goliath; they are both named in line 3. Thank you for posting this interview again. It is a real privilege to read the thoughts of three people discussing these matters. I hope that such conversations and discussions continue. One of several points touched on is that we humans flourish best when we find not certainty, but the lack of it. I very much concur. While it is sad that we cannot have any successions to this stimulating conversation, I feel sure there are others who can keep this discussion going in a provocative, perhaps even dangerous way!